This paper uses Millennium Cohort Study data to compare the cognitive, health, emotional, and behavioural development outcomes of children living in social housing compared with those living in private rented housing in England. It builds on work on previous birth cohort studies to examine how the relationship between tenure and outcomes has changed over time, and how, when controlling for a limited set of socioeconomic factors, the children of social housing tenants are no worse off than the children of private renters. This challenges research which has previously found they tend to be worse off, even when controlling for various socioeconomic factors. Two potential explanations are presented. Firstly, that the “tenure effect” of social housing has changed as the tenure rose and fell during the 20th century, before improving following the Decent Homes Programme and national and local efforts to improve life on social housing estates. Secondly, that the results are influenced by selection bias, as increasingly limited social housing supply resulted first in the residualisation of the tenure to the most disadvantaged, before the rapidly growing private rented sector began to represent a greater proportion of this group, narrowing the gap. 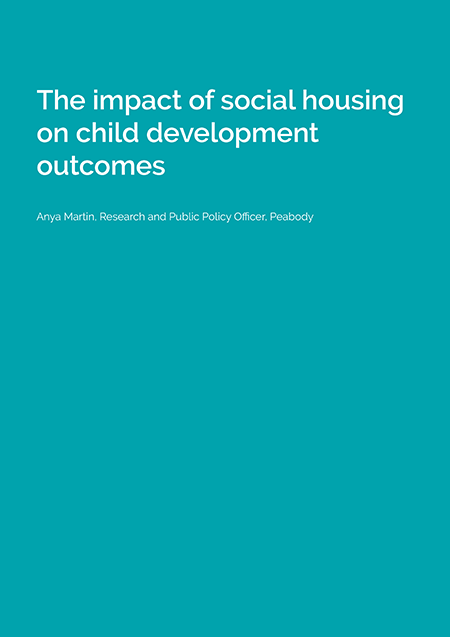 This research helps to build on our understanding of the life experiences and outcomes of children in social housing and how this compares to private renting.